Your kids will never be bored – or hungry! – again! 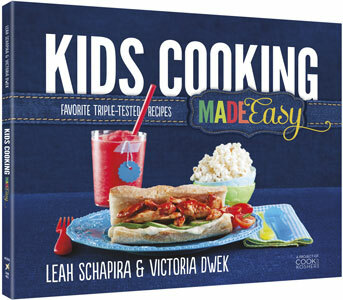 Introducing Kids Cooking Made Easy – the latest in the popular Made Easy Cookbook series from the dynamic duo of Leah Schapira and Victoria Dwek. Aimed at teaching children how to cook, the book is chock full of recipes that your kids will love – whether you cook it for them, or your kids cook it themselves! Kids Cooking Made Easy features 60 brand new recipes, each with a beautiful color photo, suggestions, and helpful tips. 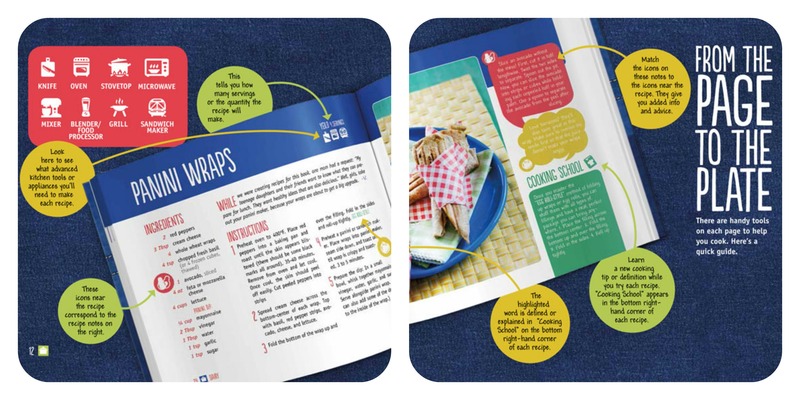 The innovative page layout of this book ensures that with each page, your children will become better cooks. 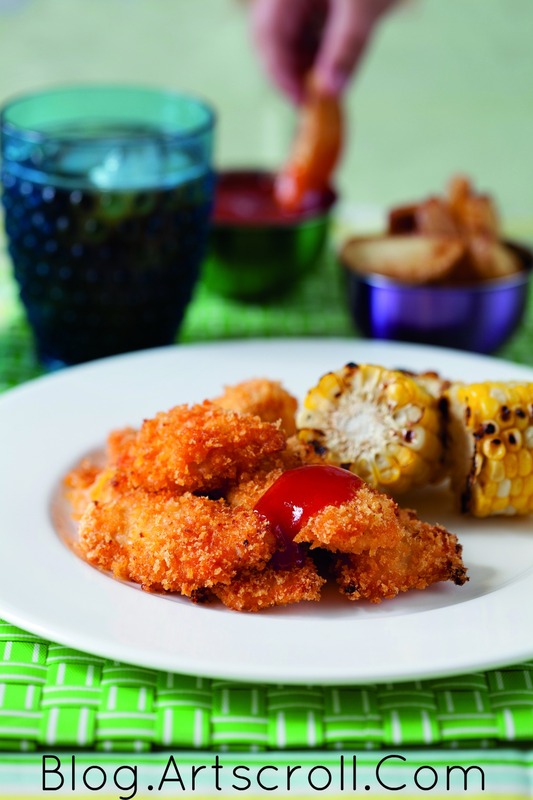 To get you started, we are sharing two delicious recipes from Kids Cooking Made Easy. First, an easy weeknight supper that kids of all ages (and their parents too!) will enjoy. 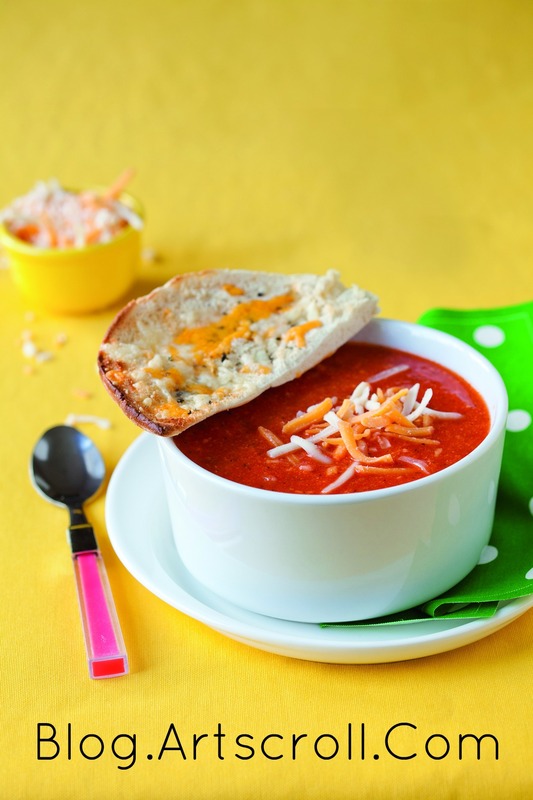 Excerpted from Kids Cooking Made Easy, By Leah Schapira and Victoria Dwek. Published by Artscroll. 1. Preheat oven to 375ºF. Line a baking sheet with aluminum foil and spray with nonstick cooking spray. 2. In a small bowl, combine oil, honey, ketchup, mustard, and chili powder (optional). Use a spoon to stir the mixture until smooth. Pour half the sauce into a separate bowl to use as the dipping sauce; set aside. 3. Place panko crumbs into another bowl. 4. Dip chicken nuggets into the honey mixture and coat completely. Then, press into panko crumbs until chicken is fully coated on all sides. 5. Place chicken on prepared baking sheet. Spray the top of the nuggets with nonstick cooking spray. Bake for 25 minutes. For extra-crispy nuggets, turn the chicken halfway through the cooking time, baking for 12-13 minutes per side. 6. Serve with dipping sauce that you set aside in step 2. Next, every kid’s favorite food – now in soup form! Heat oil in a large saucepan over medium heat. Add onion and garlic. Using a wooden spoon, sauté until onion is soft, 5-7 minutes. Add crushed tomatoes and cook for 8-10 minutes. Add sugar, salt, basil, garlic powder, milk, and water and stir to combine. Cook for an additional 5 minutes. Add cheese. Stir until cheese is melted. Ladle soup into bowls to serve. Click here for book details, additional sample pages, and exclusive online savings. Click here for other books in the Made Easy cookbook series. Never miss a post! Subscribe by email. Welcome to the ALL NEW ArtScroll Blog! Thanks for visiting the Official Artscroll Blog. Follow us for exclusive articles and interviews with our authors. We'll also be posting news about new books, sales and promotions, plus contests and giveaways! Thanks for visiting, and come back soon! New in the Bestselling Series! Living Emunah 4! Two New Haggadahs to Enhance Your Seder! Mazel Tov! Hadran Alach… ArtScroll / Mesorah is proud to announce the celebration of its “Siyum Mishnayos” The Schottenstein Edition of the Mishnah Elucidated is complete in 23 volumes! Hot News After a Cold Winter: Get Set for Savings with ArtScroll’s 30%-off Set Sale!